The long awaited 4.6.0 version of the Xfce Desktop Environment is finally available. We will try to highlight some of the new features which have been added since the last stable release. 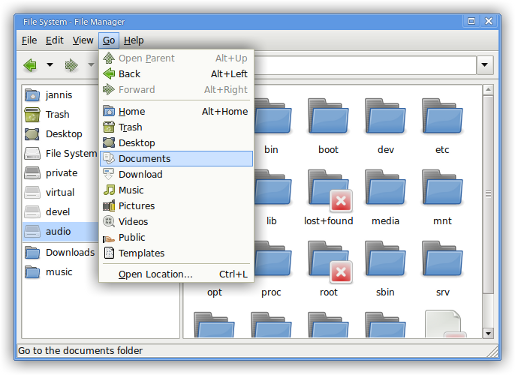 Xfce 4.6 features a brand new desktop menu which allows you to manipulate files as with the Thunar filemanager contextual menu, but also to open applications, exit your session, or access the help documentation. 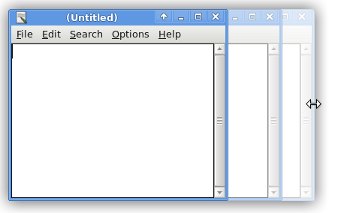 A lot of long standing bugs have been fixed in Xfce4 Panel, particularly for multiple screen setups, but this new release also brings an improved set of panel plugins. The clock plugin has been rewritten to consume fewer system resources and to fix some display bugs, but there is also a new clock mode for the geek in you: binary clock! The new notification area plugin allows you to hide selected notification icons to keep your notification area clean and readable. 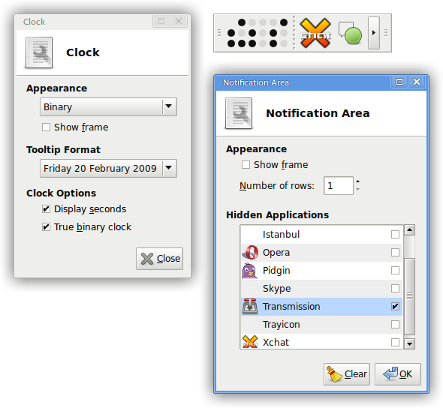 Xfce4 Mixer has been rewritten from scratch to use Gstreamer. 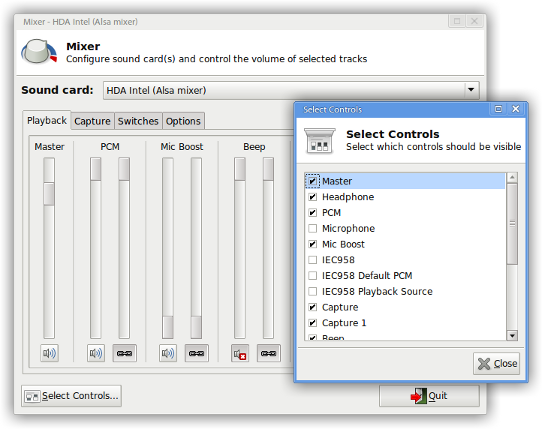 This allows us to more easily support multiple sound systems, the user interface is more polished, and you can manage several different sound cards. 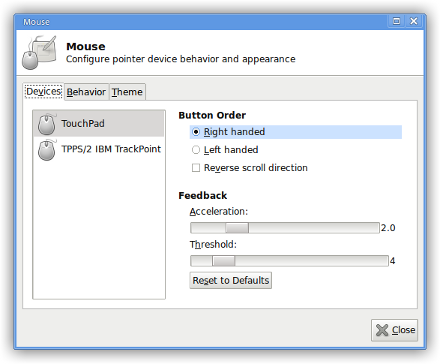 Additionally, a panel plugin allows you to set the system sound quickly using the mouse scroll wheel. 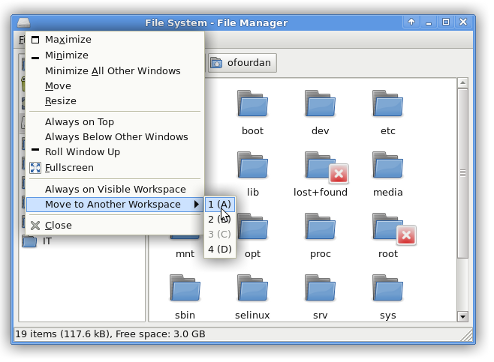 Xfce 4.6 comes with an enhanced session manager: your session should be started faster, and the settings dialog has been reworked to ease the management of session-aware applications. Additionally, the session manager will now automatically restart session applications which crashed so that you are not left without a desktop, panel, window manager, etcetera, if a crash occurs. The session manager also includes a new long-awaited feature: support for suspend and hibernate "out of the box." The logout dialog now has two additional buttons which offer to suspend or hibernate your computer. As usual, Xfwm4 has matured quite a bit during this release cycle: many bugs have been fixed, support for multiple displays has been added, and overall performance has been improved. In addition to some other new features, Xfwm4 is now able to detect windows that do not respond and offer to terminate them. There is also a new actions menu which allows you to quickly move and resize windows, put them above or below other windows, or fullscreen them. 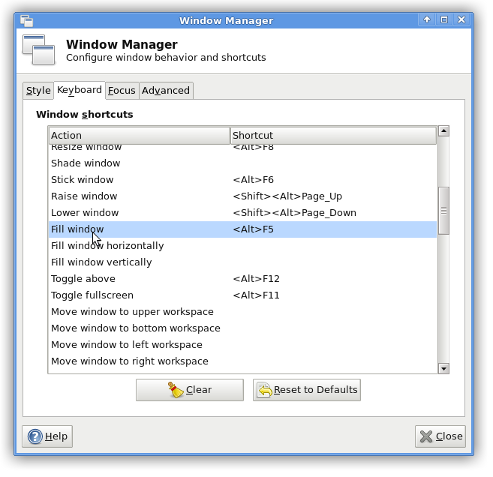 A new fill operation has been implemented; it expands a given window to the available space without overlapping other adjacent windows. The compositor has been optimized to reduce window flickering duringresize operations. 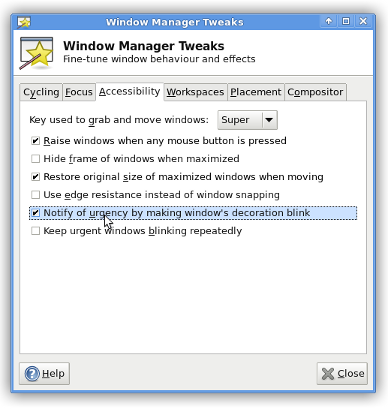 Some tweakable options have also been added: for example, you can now disable the blinking of windows when they receive an urgency hint. There have been many bug fixes and performance improvements in Thunar. 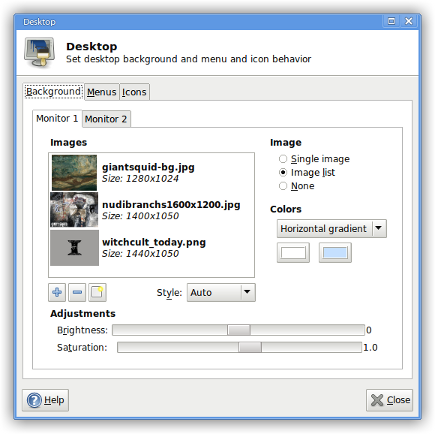 It can use the mouse forward and backward buttons (if available) to navigate, and it includes a new plugin that allows you to set an image as wallpaper from the context menu. 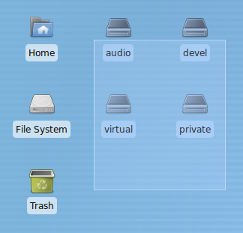 Thunar will now display a translucent icon for drives or volumes that are not mounted, so that you can distinguish them from the mounted ones. 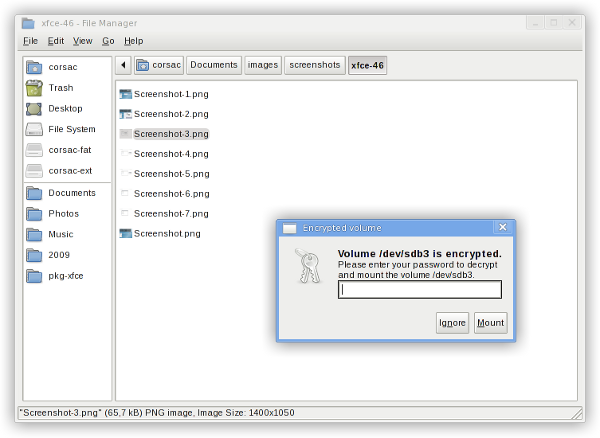 Last, but not least, Thunar now supports encrypted devices! 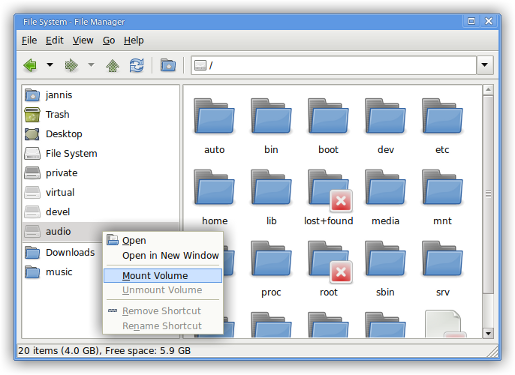 Xfce 4.6 features a new settings interface, Xfce Settings Manager, which allows you to configure your desktop environment much more easily than before. 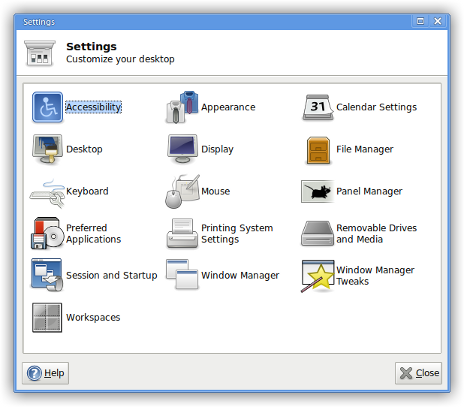 The dialogs which are accessible by single clicking on the icons have been designed to be more compact and to allow you to customize your desktop quickly and in a more intuitive way. 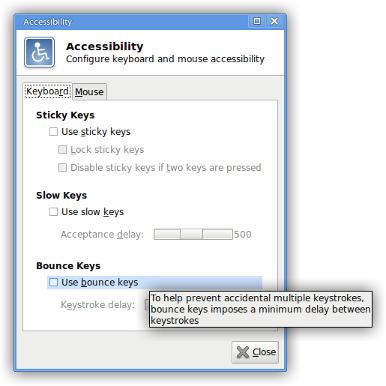 The Accessibility settings dialog allows you to set the accessibility related mouse and keyboard options, such as sticky keys, bounce keys, or mouse emulation. 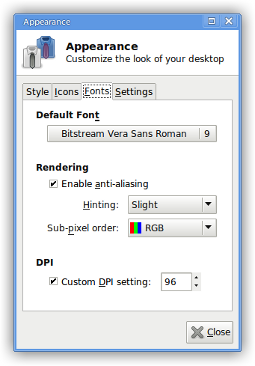 The Appearance settings dialog allows you to set the widget style, the icon theme, and font, toolbar and menu options. 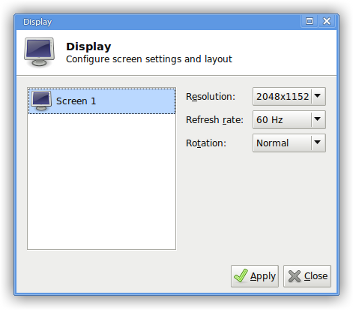 The Display settings dialog allows you to set the resolution, refresh rate, and the rotation for each screen that is connected. 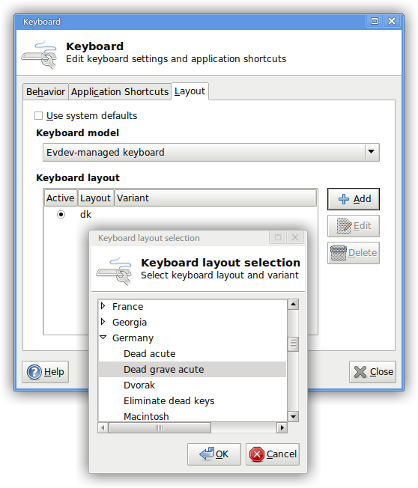 The Keyboard settings dialog allows you to set keyboard preferences such as key repeating, keyboard shortcuts, and your keyboard layout. 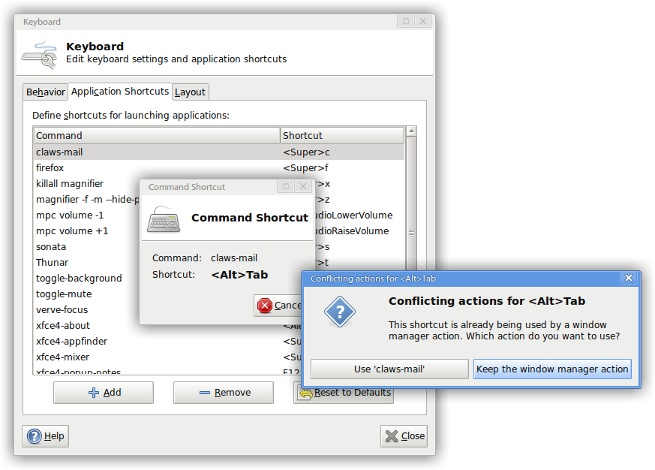 You can now configure shortcuts more simply, and any shortcut conflicts are automatically detected. 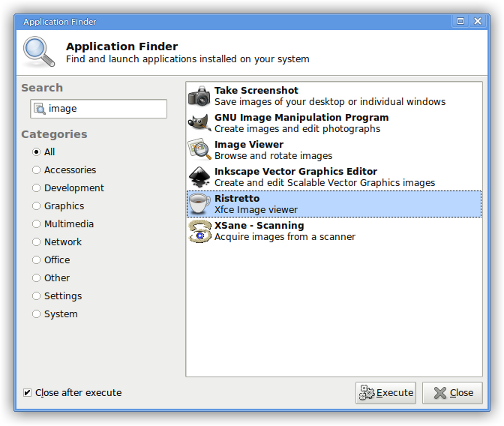 Xfce 4.6 also comes with a brand new application finder which features a cleaner user interface. It is also easier to use it with the keyboard, and it monitors installed applications to update the list "on the fly." 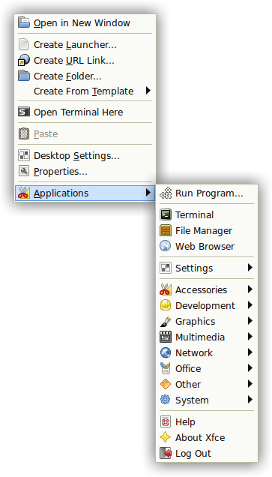 It also allows you to create panel launchers quickly by dragging an application icon to the launcher creation window.